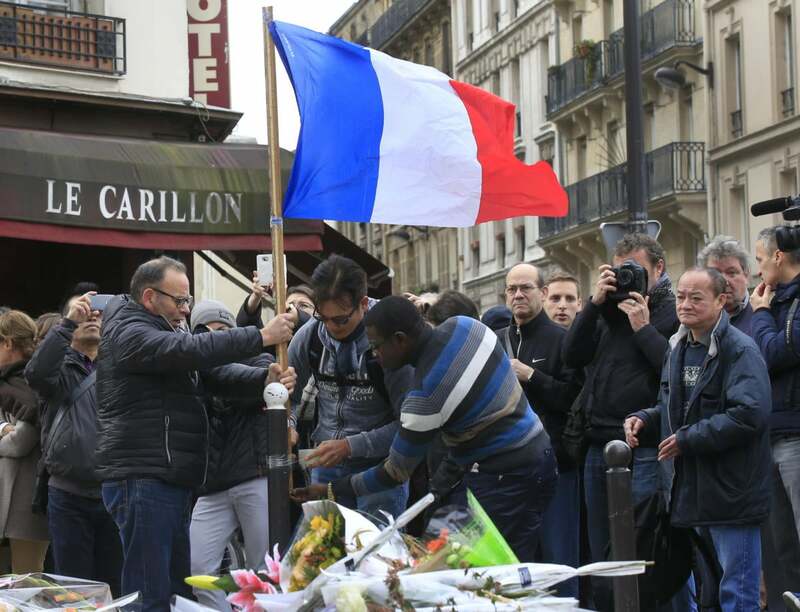 In the wake of the horrific attacks in Paris, military operations against ISIS terrorist strongholds have increased. When someone hits you, it’s natural to hit back. But can you win by killing an enemy that seeks death — and when those who are killed inspire desperate others to replace them? Along with the news that the French had launched air strikes against ISIS positions came the word that the cyber-revenge group calling itself Anonymous has declared war on ISIS. I never thought I would say this, but Anonymous might be our savior. Attacking ISIS militarily is necessary, but the group has always exerted its influence through social media, using it for both fundraising and recruitment. Both activities are essential to ISIS’ continuing existence and effectiveness. The weaponry it uses in its terror campaign is expensive, and when every successful operation ends in death or the arrest of all participants, recruitment is critical. Which makes Anonymous’ involvement intriguing. ISIS, you should be very scared. Anonymous’ official Twitter area for Operation Paris has already reported that “more than 3,824 Twitter accounts pro-ISIS are now down,” a number that has been steadily climbing. That’s on top of tens of thousands of pro-ISIS Twitter accounts that Anonymous took down before the Paris attacks, along with a large number of donation pages for the group — housed on the dark Web — that Anonymous closed, according to a report in The Atlantic. Anonymous’ key message on Twitter is: “Make no mistake: #Anonymous is at war with #Daesh. We won’t stop opposing #IslamicState. We’re also better hackers.” That last sentence is key. What Anonymous is talking about is a cyberwar against ISIS, one that is not restricted by any of the laws that could hamper a cyberattack undertaken by U.S., French or Russian governments. And, to Anonymous’ credit, they are indeed better hackers. This could be very effective. While governments bomb and soldiers attack on the ground, it’s essential that ISIS’ recruitment and funding be killed. If DDoS and other shutdown tactics make social media useless to the terror group, it will find it far more difficult to fund terror and recruit replacements. Let’s take a look at Anonymous’ prospects for weakening ISIS in these areas. ISIS does get some funding from governments, but that’s generally done quietly. Governments are subjected to International pressure to make ISIS a pariah, so most funding from nation states is kept secret. But Anonymous is impressively good at revealing secrets, so its activities could make it much harder for evil-oriented governments to back ISIS without paying a price. ISIS also makes money by selling items it steals, but that funding is limited. Mostly, ISIS relies on small donations from supporters, after they’ve been indoctrinated. The Anonymous campaign can be effective in this area in two ways. First, by repeatedly shutting down huge numbers of donation sites, Anonymous will make it far harder for people who want to donate to do so. Second, by shutting down propaganda sites, it can reduce the number of people who feel the desire to donate. By the way, this has to be done in conjunction with military attacks. As those attacks happen, ISIS scum (sorry, but that’s the harshest language Computerworld will let me use) will use them to recruit people and beg for money. Anonymous shutdowns will make it far harder to get those messages out and for anyone who does see such messages to respond. Social media and the dark Web are the only practical ways — beyond word-of-mouth, which is far too slow and inefficient for a global operation — ISIS can do this. Its leaders have learned social media well. If Anonymous can keep ahead of ISIS in shutting down propaganda, recruitment and fundraising sites and feeds of all kinds, its cyberwar, in conjunction with standard military attacks, can work. So, though I have never had kind words for Anonymous in the past, I am truly hopeful that in this endeavor it will find success. When we see atrocities like what happened last week in Paris, it’s natural for many of us to feel helpless. But the coders and other technically oriented folk who have joined forces with Anonymous have a chance to make a difference.